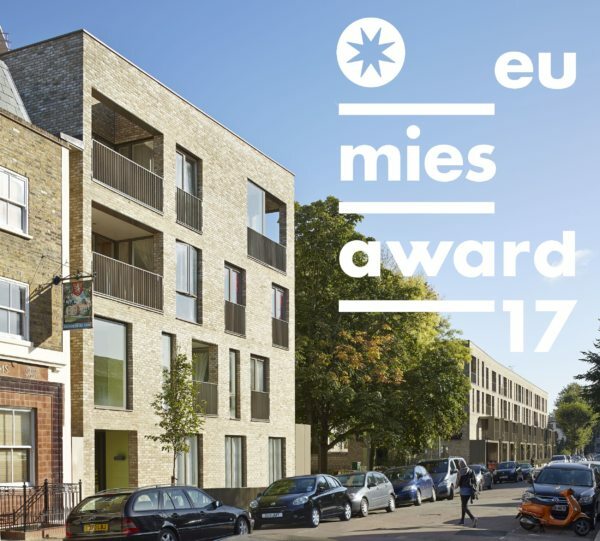 ABA is proud to announce that Ely Court has been shortlisted for the 2017 European Union Prize for Contemporary Architecture – Mies van der Rohe Award. Ely Court is a 43-dwelling mixed-tenure scheme for London’s South Kilburn Estate Regeneration Masterplan for Brent Council. The scheme is one of just four UK works shortlisted by the European Commission and the Fundació Mies van der Rohe for this prestigious prize. The Prize is awarded biennially to works completed within the previous two years. The principal objectives are to achieve a thorough understanding of the transformation of Europe’s built environment; to recognize and commend excellence and innovation in the field of architecture and to draw attention to the important contribution of European professionals in the development of new ideas, the clients who support them and the citizens that enjoy them. The Jury members have shortlisted 40 projects and will select the 5 finalist works which they will visit in April. 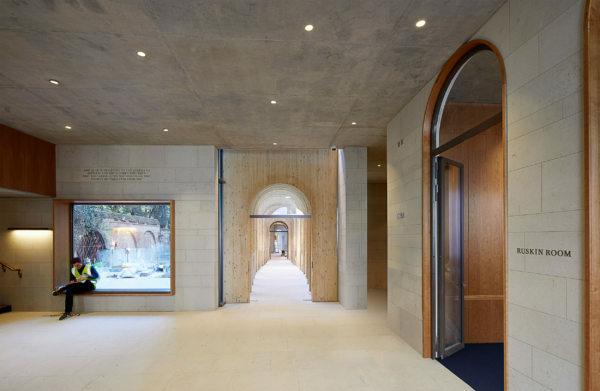 The process will culminate with the Award Ceremony on May 26 at the Mies van der Rohe Pavilion, marking several days of Open Doors throughout Europe during which sites of the shortlisted works will be open for visit to the general public. 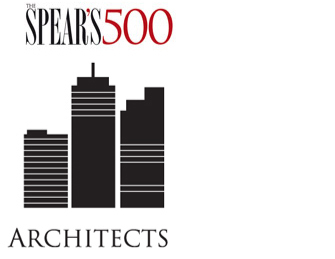 Alison Brooks has been featured in the architecture category of the 2017 edition of The Spear’s 500. Launched by Spear’s in 2014, the directory is the world’s first comprehensive guide to the top private client advisers, wealth managers and HNW service providers. “‘I try to avoid styles and focus on ideas. The greatest work is always the result of a concept or an ideal that leads the design into uncharted territory’. 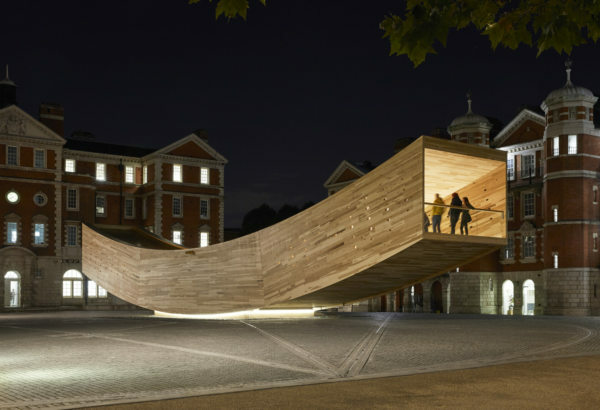 So says the formidable Brooks, who, since founding her practice in 1996, has become one of the world’s most sought-after architects; she was recently named as one of Britain’s 500 Most Influential people by The Sunday Times. Her London-based studio has a portfolio ranging from one-off houses to education buildings, high-end residential developments and masterplans. ‘Each of our projects is unique in its concept and detail: our designs respond in a very specific way to each client, place and brief,’ she says. 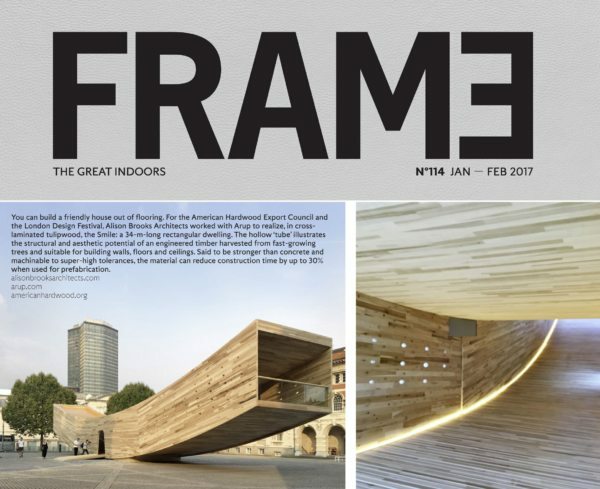 Frame magazine has featured The Smile in its latest issue, No 114 Jan – Feb 2017. 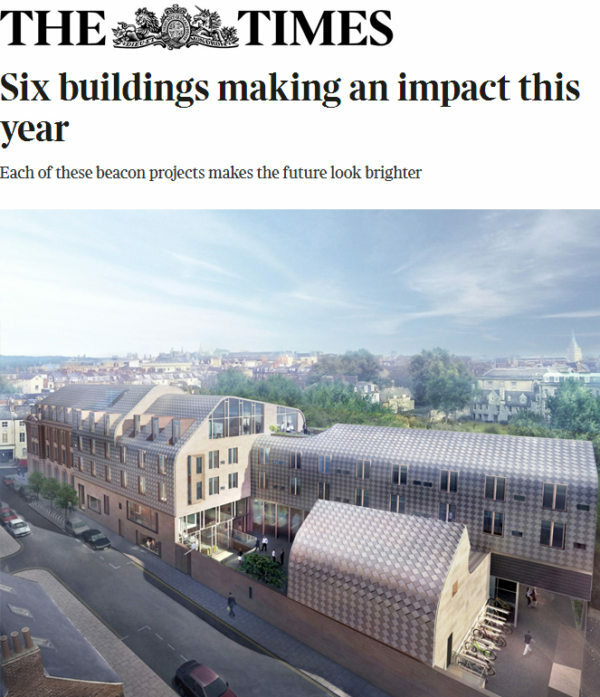 The Exeter College Cohen Quad was chosen by Jeremy Melvin of The Sunday Times as one of six buildings that will make an impact this year. 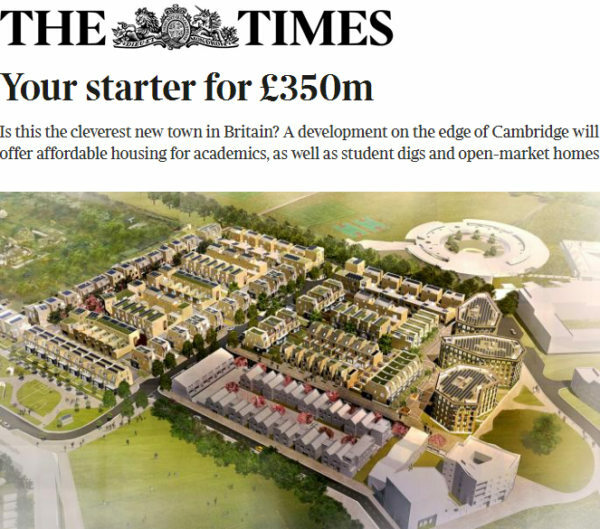 “What makes this project notable among the crop of new buildings in Oxford and Cambridge is how it transforms the traditional spatial configurations of Oxbridge colleges. 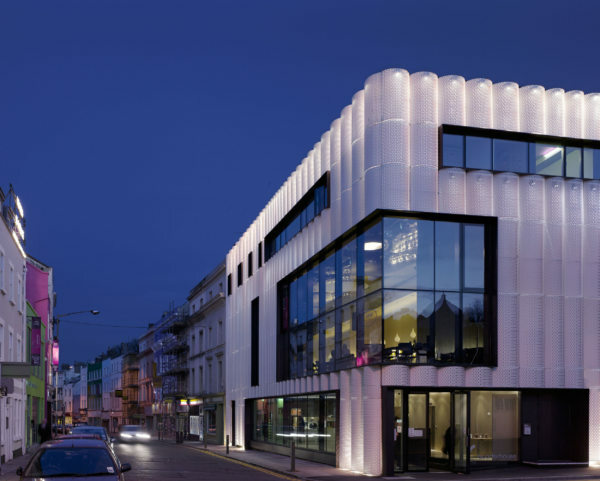 It manages to look to the future, using new technologies, while still catering to the traditional needs for accommodation and secure storage for special collections. The central conceptual idea and physical space is the Learning Commons, a large volume offering levels of differing size and degrees of intimacy. Studious scholars can hide themselves away and study intently; others might spot people and exchange ideas. The European Commission and the Fundació Mies van der Rohe has announced the list of works competing for the 2017 European Union Prize for Contemporary Architecture – Mies van der Rohe Award. ABA is proud to announce that Ely Court has been nominated for this prestigious prize. Ely Court is a 43-dwelling mixed-tenure scheme for London’s South Kilburn Estate Regeneration masterplan for Brent Council. The Prize is awarded biennially to works completed within the previous two years. The principal objectives are to achieve a thorough understanding of the transformation of Europe’s built environment; to recognize and commend excellence and innovation in the field of architecture (in conceptual and construction terms) and to draw attention to the important contribution of European professionals in the development of new ideas, the clients who support them and the citizens that enjoy them.The Jury members will shortlist 40 projects and select the 5 finalist works which they will visit in April. The process will culminate with the Award Ceremony on May 26 at the Mies van der Rohe Pavilion, marking several days of Open Doors throughout Europe during which sites of the shortlisted works will be open for visit to the general public.